M/W/F 7:30-7:50am, 9:00-10:00am, 12:00-12:45pm, or by appointment. Native of Lübeck, Germany. Permanent resident of the U.S. Service in the West German Navy, 1969-1970. Academic studies in Germany, Canada and the U.S., 1971-1987. Baylor faculty member since 1984. Renaissance, Reformation, Early Modern Europe, European Expansion, World History since 1500, World Cultures. Research: European and German maritime and naval history, with emphasis on the World Wars, submarines. Additional Interests: Historical demography; historiography. Author of 2 book chapters in Theodore P. Savas, ed., Hunt and Kill: U-505 and the U-Boat War in the Atlantic (New York: Savas Beatie, 2004). Selection of Military Book Club. Author of book chapter in William M. McBride, ed., New Interpretations in Naval History (Annapolis: Naval Institute Press, 1998). Author/translator of 3 book chapters in Theodore P. Savas, ed., Silent Hunters: German U-Boat Commanders of WW II (Savas, 1997; Nav. Inst. Press, 2003). German: Lautlose Jäger (Berlin: Ullstein, 1999, repr. 2001). Polish: Dowodcy U-bootow w II Wojnie Swiatowej (Gdansk: Finna, 2003). Selection of Military Book Club. Translator, editor, of: Erich Topp, Fackeln uber dem Atlantik: Lebensbericht eines U-Boot-Kommandanten (Bonn: Mittler, 1990); published as The Odyssey of a U-Boat Commander: Recollections of Erich Topp (New York: Praeger, 1992). Author, Naval Officers under Hitler: The Story of Crew 34 (New York: Praeger, 1991). Revised edition forthcoming: Naval Officers Under Hitler: The Men of Crew 34 (Annapolis: Naval Institute Press, 2017). 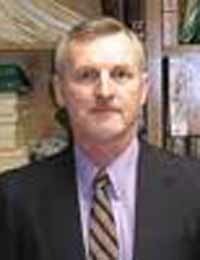 Author of 28 scholarly articles; 38 conference presentations; 57 book reviews in historical journals; TV appearances; consultant for BBC, PBS, History Channel, Naval Institute Press, Indiana University Press, University of Oklahoma Press, McGraw-Hill, Longman, Macmillan, National Geographic Society, Texas Education Agency, Educational Testing Service, Journal of Military History, International Journal of Naval History, International Journal of Maritime History, The Mariner's Mirror, etc. Book-length project on the disastrous storms and floods along the German North Sea coast in medieval and early modern times, tentatively entitled The Great Man-Drownings. Semester-long sabbaticals: Spring/Summer 2000, Fall 2017. Several summer sabbaticals and University Research Council travel grants. Faculty Senate, 2000-2006; Senate Secretary and member of Senate Executive Committee: 2001-2006. Resident director, Baylor in Maastricht (semester-long study abroad program in the southern Netherlands), Fall 2005, Fall 2007, Summers 2009 to 2016. College of Arts and Sciences faculty representative on University Honor Council. Chair: 2011-2015. Faculty sponsor of the Baylor Amateur Radio Club (BARC), 1985 to present. Honors Colloquia, 1980s to present. Reader and Table Leader, College Board, AP European History, 2000 to 2008.